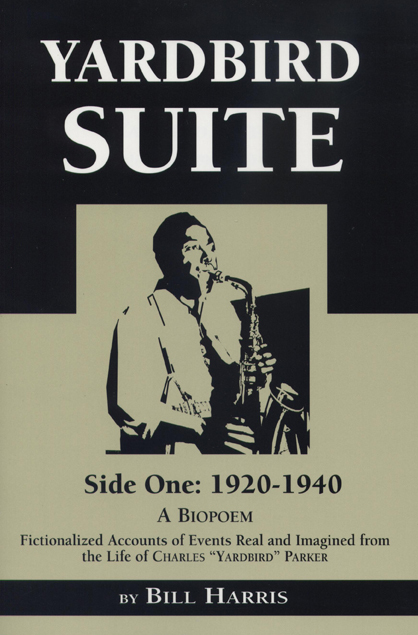 Yardbird Suite, Side One: 1920-1940 is a marvelous interpretation of instrumental music through poetry. It is described by the author as "a biopoem" containing "fictionalized accounts of events, real and imagined," in the life of the famous jazz musician, Charles "Yardbird" Parker. Harris, who is better known as a playwright, is the author of numerous plays that have received more than fifty productions nationally. This collection, winner of the annual Naomi Long Madgett Poetry Award, is his first published book of poetry. Bill Harris is playwright, poet, critic, novelist, and Professor of English at Wayne State University in Detroit. He was formerly Production Coordinator for Jazzmobile, and the New Federal Theatre, both in New York. His plays have had more than seventy productions nationwide. Harris received the Kresge Foundation's 2011 Kresge Eminant Artist Award.